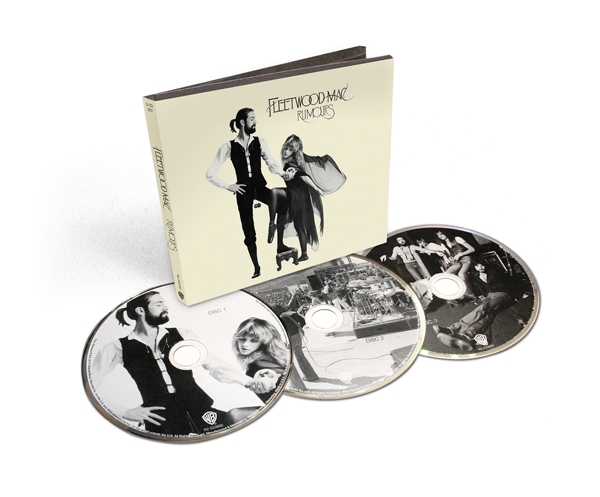 On January 29th, Fleetwood Mac will reissue their 1977 classic Rumours in a new edition packed with tons of unreleased material from the studio and stage. Now you can get an exclusive first listen to the 12 unreleased live tracks that will be included with the new set. Recorded during the band's 1977 world tour at concerts in Oklahoma City, Tulsa, Nashville and Columbia, South Carolina, the disc features Fleetwood Mac favorites like "Rhiannon" and "World Turning," as well as plenty of Rumours highlights including a swooning rendition of "Dreams," a stomping version of "The Chain" that comes to a raucous conclusion, and the heartbreaking closer "Songbird." Fleetwood Mac will hit the road for their first tour since 2009, starting April 4th in Columbus, Ohio, with additional dates just announced.